คำอธิบาย: The Nano-300 is an advanced model of Micro UV VIS Spectrophotometer based on Nano-100, with full range of wavelength (200-800nm). 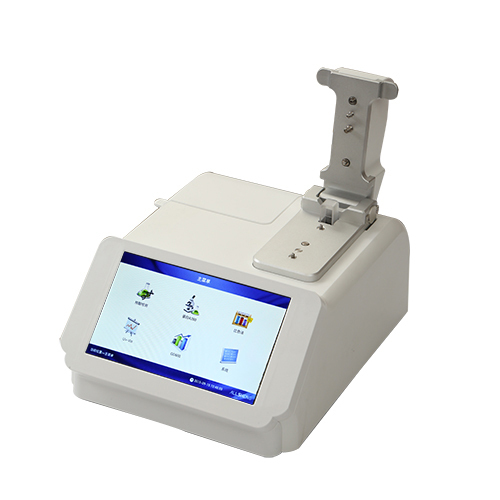 It is with an added new function of bacterium cell concentration measurement (OD600) in a cuvette. The Nano-300 only requires 0.5-2ul sample to measure nucleic acids, protein as quickly like Nano-100 do. Nano-300 come with a 7 inch touch screen and integranted Android operating system, with no computer required. It is an ideal equipment for a biology laboratory to make life science research more efficient.